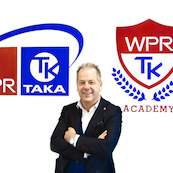 Technical Director of TAKA adhesives since 2010 and Director of the WPR-TAKA Academy. Over 35 years of experience in R&D and application process of adhesives in the wood industry. Technical advisor of the book "Gli adesivi nell'industria del mobile" (The adhesives in the wood industry). During the last 10 years he has been dedicated to the improvement of the application of foils on PVC and aluminium profiles for the windows market. Former Italian delegate of the European Normative TC 193 SC1 for wood adhesives. Former Convenor of the Italian normative UNI (UNICHIM group) for wood adhesives.